Overcoming life insurance objections when dealing with younger people and newly marrieds, is the topic of this article. I don't need any insurance yet. I don't have any reason to own life insurance. I will get some later on when I get married. In my early years of selling life insurance, this was a big time problem when I started, till I figured out how to learn to deflect most of these objections right up front. As a personal producer and agency manager, and possibly your insurance mentor, I want to share some ideas on overcoming objections that i learned during my selling years that helped me in overcoming life insurance objections that i so feared. Many of these proven and tested rebuttals to objections and the ideas herein helped my agents become successful in the life insurance business. after ever interview I would always write down what objections I encountered. As time went on, i seen a certain pattern unfolding based on the type of interview I had held. I use to keep track of the objections I received from business people, young people, newly weds, new families, mortgage sales, etc. When i was selling insurance, I eventually learned to try and anticipate what people might say when we got to the point of closing any sale. How was I able to do this? Because it was information I gathered over time through my record keeping. Because of accurate record keeping, over time I was able to anticipate what objections each of these groups were going to come up with when I was going to close on them. In doing so, I was able to stop those objections right up front. Although the ideas I share in this article can be used to fix many of the closing problems an insurance agent faces when trying to close a sale. young single people and newlyweds. "I DON'T NEED ANY INSURANCE NOW"
"I have plenty of time"
Mr/Ms prospect, I know that the last thing you are probably thinking about right now is owning life insurance. You are young and single, /just married, have no big obligations, etc. I felt the same way when I was young. However, we must take stock of what real life is about. Eventually things will change in your financial life, that you can not predict. Life insurance is not something that can always be purchased. When people are in good health, they don't give it a second thought, however if something happens that impacts their ability to become un-insurable, the first thing they usually do is try to buy life insurance. I know this from my experience in the business. we can get you into a starter plan that can give the option to purchase more insurance later on in life, even if your health fails or your occcupation makes you uninsurable. I would then show them a small program with the Guaranteed Insurability Rider, and explain how that worked. Now the sad part. He had acquired a medical issue related to his heart, even though he was a young man, he was un-insurable. The end result was he lost out on a great financial opportunity, because he could not get a life insurance policy on his life to cover the investors. How would he have known of this in his early years. Here is another sad situation: I also use to use the example of a young person getting married and his wife wanted to get some life insurance because they were just having their first baby. They had contacted me via a friend recommendation. However, he took on the profession of a crop duster in his early life. Here again, he had no need for insurance when he was young, but now no one would insure a crop duster. His young wife was devastated. One of my biggest term policies I ever sold when I started out selling was to a young college graduate. I always carried around third party articles to refer to. (Things I cut out of papers or magazines) Towards the end my interview with him, I showed him a study that was made about millionaires and one of the key attributes to young millionaires is they owned a lot of life insurance early on. He said I plan on being a millionaire, how much does a million dollar term policy cost? I wrote him up. Today he actually is a very wealthy person. this insurance selling tip (keeping 3rd party information handy) is an idea that I would suggest you incorporate into your selling toolbox. Create a small 3 ring binder or file on your computer and start storing information. then use (this concept) your third party articles to handle objections of all kinds. For some reason people will accept 3rd party information as fact vs. you telling them. Just makes selling more fun that way. 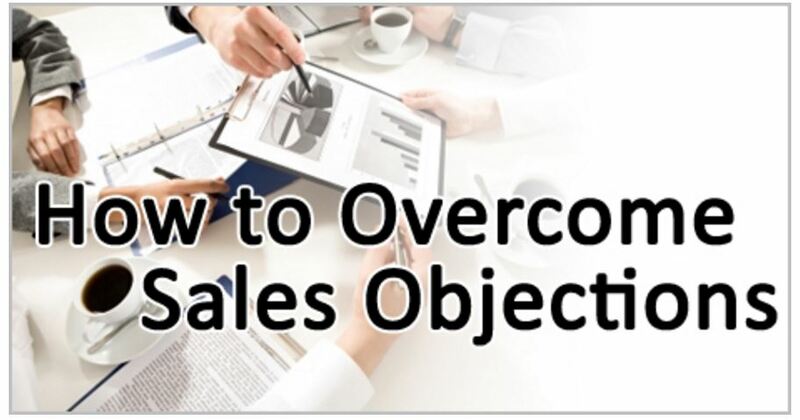 Start tracking what objections keep popping up. and you will be able to start overcoming life insurance objections of all kinds. Remember, that we are in the people business first.